Privacy notice Pursuant to artt. 13-14 EU REG. n. 679/2016 (GDPR) AIM, Italian Association of Metallurgy (VAT number 00825780158), in person of the legal representative Eng. Federico Mazzolari (hereinafter the “Data Controller”), current in Milan, via Turati n. 8, informs you that, pursuant to art. 13 of the EU Regulation n. 2016/679 (hereinafter “GDPR”), your data will be processed in the manner and for the following purposes. 1. Personal Data. The Data Controller processes personal identifying data (i.e. : name, surname, company name, address, telephone number, e-mail address, username, bank and payment details, hereinafter referred to as “Personal Data”) that you have communicated on the occasion of the paper registration or through the website www.metallurgia- italiana.net. 2. Purpose of the treatment. Your data will be processed by the Data Controller for the following possible purposes: - registration on the website www.metallurgia-italiana.net and creation of a user (username and password); - transmission of periodic communications by e-mail; - invitation to activities and/or events promoted by the Data Controller; - in case of registration for events, inclusion in the list of participants at the event, receipt of invitations for relevant events from other worldwide metallurgical associations and invoicing of the fee for the participation at the event, if due; - in case of association with AIM, sending of the membership card; - in case of purchase of books or other material, delivery of the same and invoicing. 3. Processing methods. The processing of your personal data is carried out by means of the operations indicated in art. 4 n. 2) GDPR and more precisely: collection, registration, organization, storage, consultation, processing, modification, selection, extraction, comparison, use, interconnection, blocking, communication, cancellation and destruction of data. Your personal data are subjected to both paper and electronic processing. The Data Controller will process personal data for the time necessary to fulfill the aforementioned purposes and in any case for no more than 10 years from the termination of the relationship. 4. Access to the Data. Your data may be made accessible, for the purposes referred to in art. 2, to the employees and collaborators of the Data Controller, in their capacity as persons in charge and/or internal managers of the processing and/or system administrators. 5. Data communication and data transfer abroad. The Data Controller may communicate your name, nationality and e-mail address to foreign associations, exclusively in the case of participation in itinerant congress editions. The aforementioned associations, operating in countries located in or outside the EU, may not provide adequate data protection safeguards (a complete list of countries providing adequate data protection safeguards is available on the EU Guarantor's website for the Protection of Personal Data). In such cases, the transfer of your data will be carried out in compliance with the applicable international rules and agreements, as well as with the adoption of appropriate measures (e.g. standard contractual clauses). Personal data are stored on servers located in Milan (IT), within the European Union. In any case, it is understood that the Data Controller, if necessary, will have the right to move the servers even outside the EU. In this case, the Data Controller hereby ensures that the transfer of non-EU data will take place in accordance with the applicable legal provisions, subject to the stipulation of the standard contractual clauses provided by the European Commission. 6. Rights of the Data Subject. In your capacity as a Data Subject, you have the rights set forth in art. 15 GDPR and, precisely, the rights of: i. to obtain confirmation of the existence or not of personal data concerning you, even if not yet registered, and their communication in an intelligible form; ii. to obtain the indication: a) of the origin of personal data; b) of the purposes and methods of the processing; c) of the logic applied in case of treatment carried out with the aid of electronic instruments; d) of the identification details of the Data Controller, the data processors and the designated representative pursuant to art. art. 3, paragraph 1, GDPR; e) the subjects or categories of subjects to whom the personal data may be communicated or who may become aware of it in their capacity as designated representative in the territory of the State, managers or agents; iii. to obtain: a) updating, rectification or, when interested, integration of data; b) the cancellation, transformation into anonymous form or blocking of data processed unlawfully, including data whose retention is unnecessary for the purposes for which the data were collected or subsequently processed; c) the attestation that the operations referred to in letters a) and b) have been brought to the attention, also as regards their content, of those to whom the data have been communicated or disseminated, except in the case where such fulfillment is it proves impossible or involves a use of means manifestly disproportionate to the protected right; iv. to object, in whole or in part, for legitimate reasons to the processing of personal data concerning you, even if pertinent to the purpose of the collection. Where applicable, it also has the rights referred to in articles 16-21 GDPR (right of rectification, right to be forgotten, right of limitation of treatment, right to data portability, right of opposition), as well as the right of complaint to the Guarantor Authority. 7. How to exercise rights. 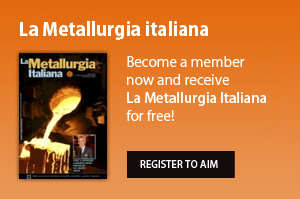 You can exercise your rights at any time by sending: a registered letter to AIM, Italian Association of Metallurgy, via Turati n. 8, Milan or an e-mail to info@aimnet.it. 8. Data Controller and person in charge. The Data Controller is AIM, Italian Association of Metallurgy, via Turati n. 8, Milan. 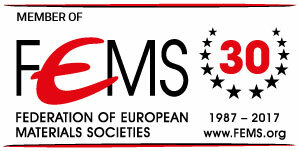 The person in charge of data processing is Ms. Federica Bassani, via Turati n. 8, Milan - e-mail info@aimnet.it. The updated list of data processors is kept at the Data Controller's headquarters.